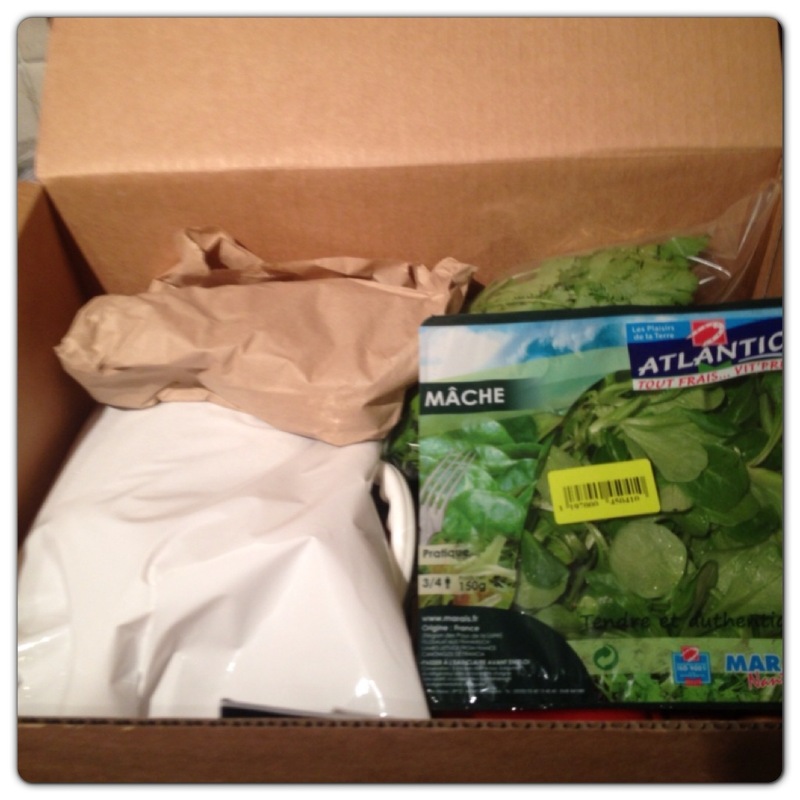 A couple of weeks ago, we received a Hello Fresh box for the first time. If you haven’t heard from Hello Fresh before, that’s how it works: they create delicious and nutritious recipes, you can choose what you would like and they pack all the ingredients in a box for you. 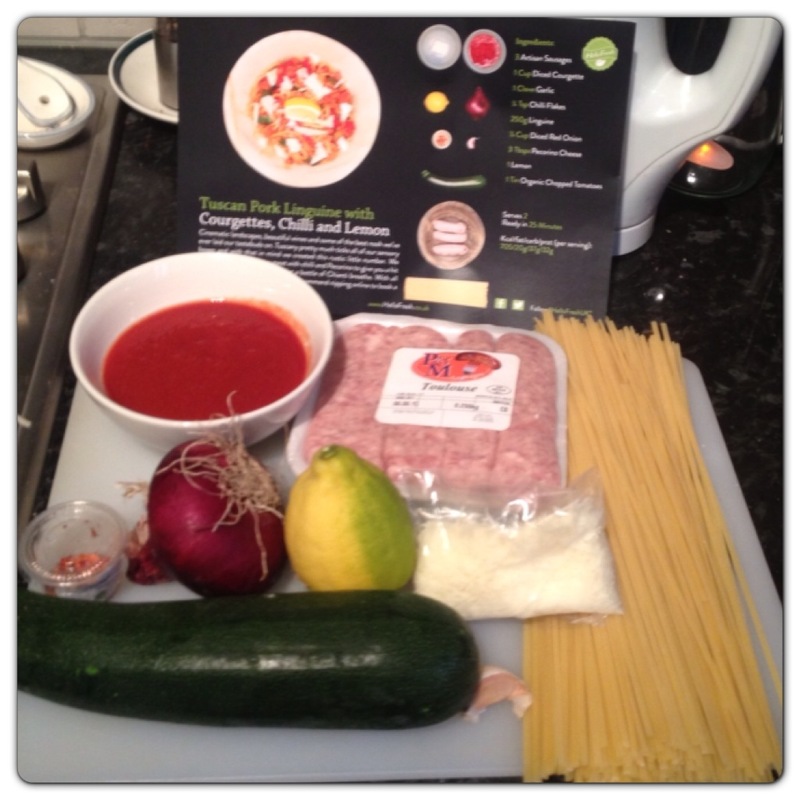 The delivery is free and you will be provided with what you need to cook a great meal in 30 minutes or less. We were sent a Classic Box with 3 meals for 2 people (RRP £39.00). The Hello Fresh box arrived full of fresh and high quality ingredients, with beautiful photo recipe cards and everything we needed for the meals in the exact quantities, including meat, fish, herbs and species. 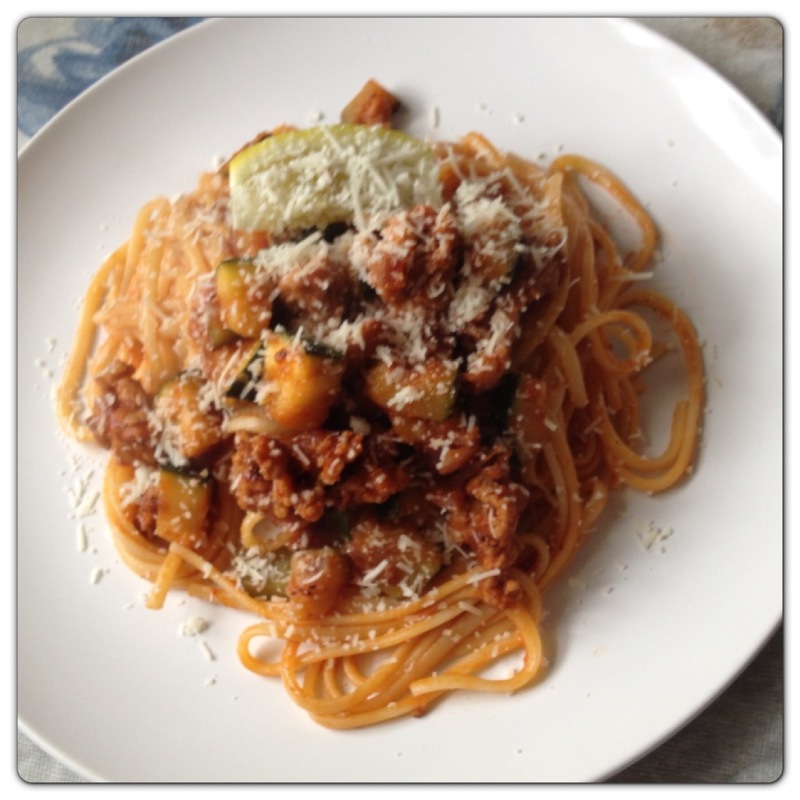 We were sent three recipes: “Tuscan Pork Linguini with Courgettes, Chilli and Lemon”, “Butterflied Mexican Chicken with Homemade Refried Beans”, and “A Simple Smoked Mackerel Summer Salad with Green Beans and New Potatoes”. As soon as we checked the ingredients and selection of recipes, we knew straight away that we were in for a treat! Remove the casings from the sausages. 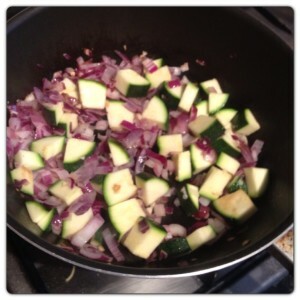 Chop the very top and bottom off the courgette and slice in half lengthways. Slice each half lengthways into 3 and then dice the courgettes into small cubes. Finely dice the onions and garlic. Heat 1 tbsp of olive oil in a pan on medium/high heat and fry the courgette, onion and garlic for 5 minutes. Remove everything from the pan and keep to the side. Boil a large pot of water for the pasta. Turn the heat to medium and add a tsp of olive oil. Add the sausage meat to the pan and break it up with a wooden spoon. After about 5 minutes when the sausage meat has browned off, add back in the vegetables. Add as many chilli flakes as you wish, to heat it up a little. Add the tinned tomatoes to the pan, leave to bubble away on medium heat whilst you cook your pasta. If you have any sugar, add ¼ tsp to the pan together with ¼ tsp of salt and a few grinds of black pepper. Add the pasta to the boiling water and cook for around 10 minutes or until al dente. 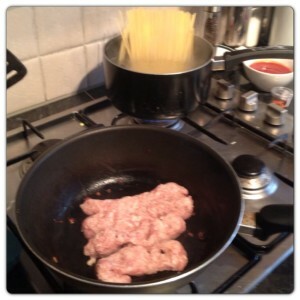 Once the pasta is cooked, drain it and add to the tomato mixture. Divide the pasta among 2 warmed plates, scatter over the Pecorino and serve with lemon wedges. 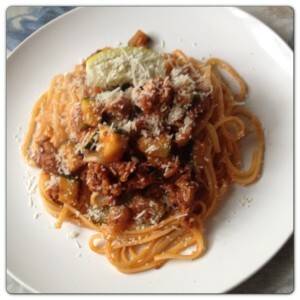 We thoroughly enjoyed our meal, the recipe was easy to follow and straightforward. The meal was tasty and full of flavour. Our first Hello Fresh experience was very enjoyable. Look out for the other recipes over the next couple of days. 12 Responses to "Hello Fresh Box: Tuscan Pork Linguine Recipe"
Very healthy and looks so satisfying! That looks like a lovely, hearty, satisfying dish.